a handy carrying sleeve and case. See a Driftless Dream in Action! This four-piece FAST ACTION fly rod is a high modulus carbon graphite rod designed for fishing streams and rivers located with in the Driftless Area. Developed by a local angler for the experienced fly fisherman, the 8'0'' 4WT’s length, casting action, very light weight and strength fits well for targeting brown trout and smallmouth bass. 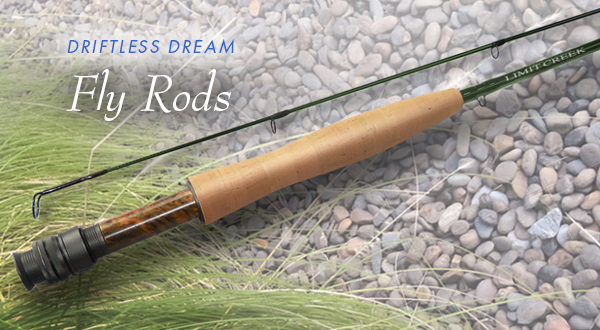 From the smaller spring fed creek to the medium sized river, this rod can help make your fly fishing dreams come true! Made with: High modulus graphite blank (Nano Matrix), CNC machined reel seat with burl wood, titanium coated single foot guides, special Minima stripping guides, smooth metallic green finish. This four-piece FAST ACTION fly rod is a high modulus carbon graphite rod designed for fishing streams and rivers located within the Driftless Area. Developed by a local angler for the experienced or newly introduced fly fisherman, this rod’s length, casting action, very light weight and strength works well for targeting trout and hard-fighting smallmouth bass. 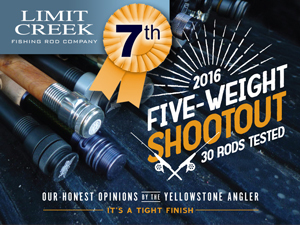 We are pleased that our 5-Weight Driftless Dream Fly Rod received a highly favorable review in Yellowstone Angler's “2016 Five Weight Shootout”. 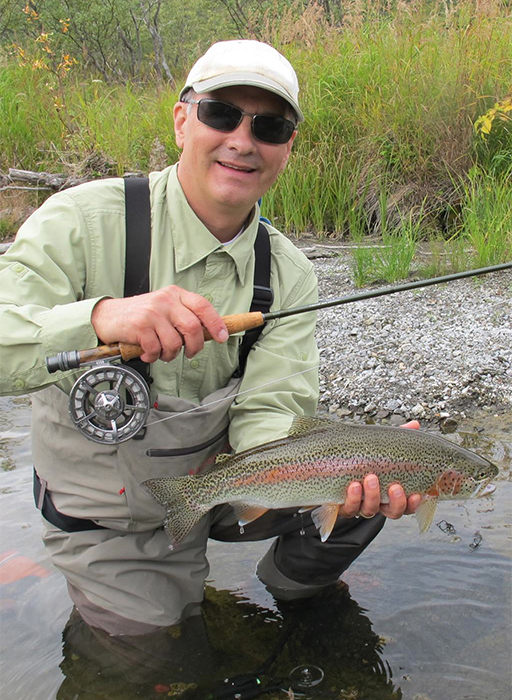 Limit Creek's 5 Weight Fly Rodwas compared to 30 other models. We stacked up quite nicely against more expensive brands. We invite you to Read the Reviews. 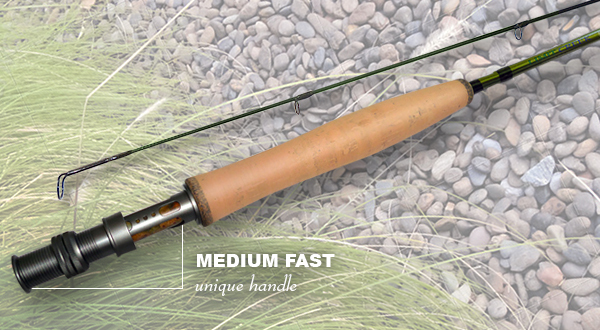 This four-piece MEDIUM FAST ACTION fly rod is a high modulus carbon graphite rod designed by a local angler for the experienced or newly introduced fisherman. 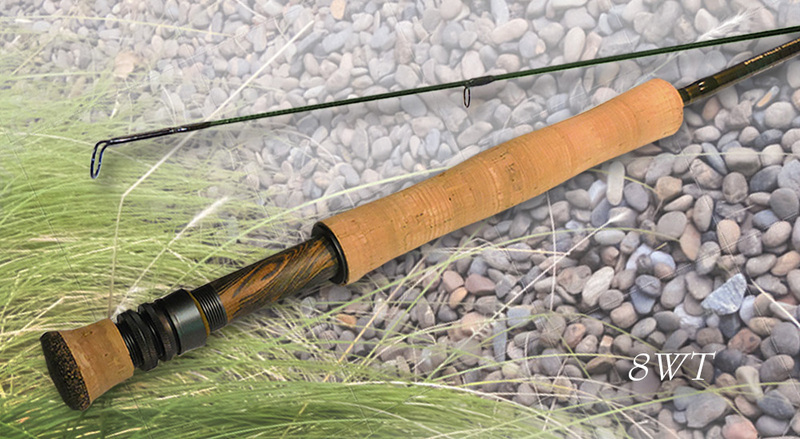 This rod’s light swing weight, accuracy, overall weight and casting action works well when fishing and targeting trout in small spring fed creeks found within the Driftless Area. This four-piece FAST ACTION fly rod is a high modulus carbon graphite rod, designed for fishing streams and rivers. This rod’s length, casting action, accuracy, light weight, light swing weight and extra strength works superbly when casting all day for trout, whether in the mountain fed streams and rivers to the cold spring fed waters of the Driftless Area. This is a high end rod without the high end price. This four-piece FAST ACTION fly rod is a high modulus carbon graphite rod, designed for fishing streams and rivers located within the Driftless Area. Developed by a local angler for the experienced or newly introduced fly fisherman, this rod’s length, casting action, light weight and extra strength works well for targeting trophy smallmouth bass or brown trout. 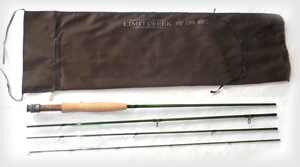 Whether you are new to fly fishing or an experienced angler in pursuit of a trophy, this rod can fulfill your fly fishing dreams! This four-piece FAST ACTION fly rod is a high modulus carbon graphite rod, designed for tussling with the larger fresh water species, including (but not limited to); steelhead, bass, northern pike, large trout and salmon. This rod’s length, casting accuracy, light swing weight and action are backed by a strong, even-balanced design that ensures a fun battle without getting exhausted fishing. Longer days casting on the water will create dreams that will last a lifetime! 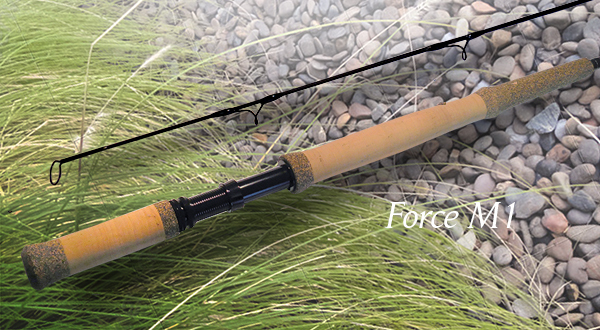 The Force M1, FAST ACTION fly rod is a carbon blended graphite rod, designed specifically for muskie. 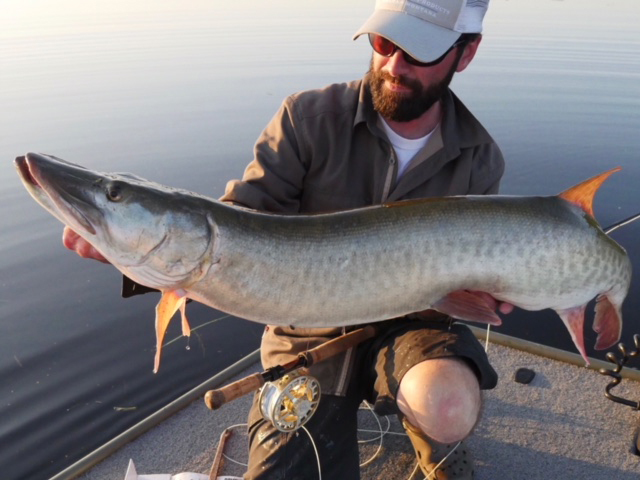 A serious tool for serious anglers, pursuing big fish with huge flies. A. A unique handle configuration combines an extended fore grip and rear grip, allowing the rod to be cast 1 or 2 handed. This innovative grip design also aids in figure 8’s and hook sets, whether 2 handing or bracing the rear grip against the forearm. The rear grip also moves the main grip forward shortening the casting length of the rod. This creates a mechanical advantage, giving the feel of an 11WT, while offering substantially more power and backbone for fighting fish and setting hooks in the “8”. B. Recommended 450-600 grain line. The Force M1 is the ultimate stick for throwing huge flies and fighting big fish in any arena, Fresh or Saltwater. Made with: High modulus graphite blank (Nano Matrix), CNC machined reel seat, titanium coated snake guides, special Minima stripping guides, smooth matte black finish. Design assistance provided by Gabe Schubert.